Real and Simulated Wars: Steel Beasts ProPE - OBJ Leninade - A Russian T-72 Company in the Attack. I wanted to share this tactical note I made for my own use. 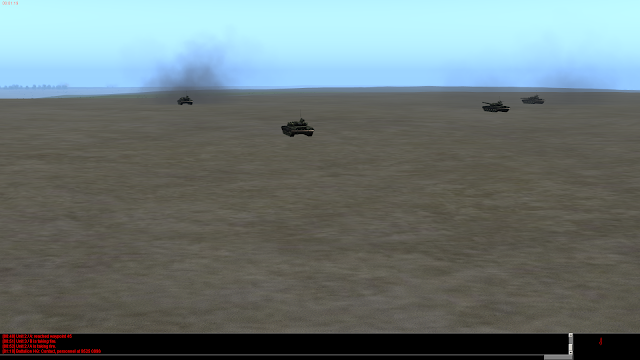 In the before mentioned video, I have a T-72 tank Company and I am to assault an American position (OBJ Leninade). During numerous tryouts, I consistently failed on that assault until I read the fine print of a document entitled "Soviet Tank Company Tactics" (available from a number of sources, please Google it). Our investment in that extra kilometer in range payed off handsomely. The T-72s were able to withstand numerous hits and scored three kills. Note that these images are from a tryout and not the real video. The American M1s had a hard time with all the six T-72 gun muzzles firing at them. 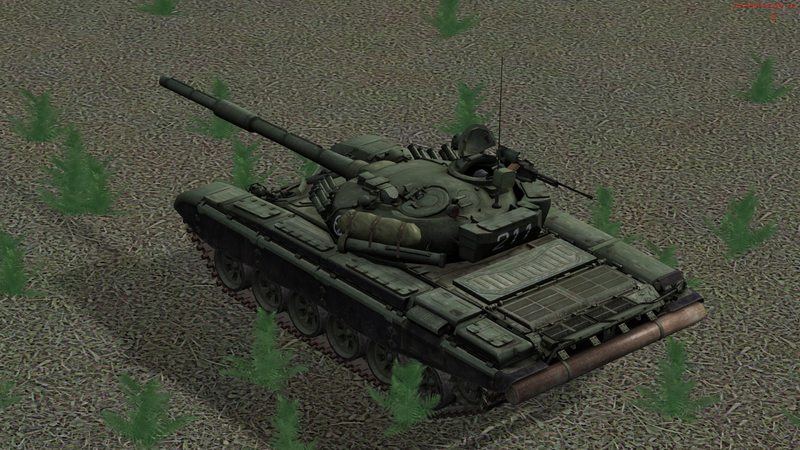 In this tryout, the tanks at the SBF position suffered just one mobility loss. -The SBF position should have a field of fire preferably away from the axis of assault. -The SBF position (as with any battle position) should make the best use of the weapon system's range. Thanks for reading! I'm running version 4.023. 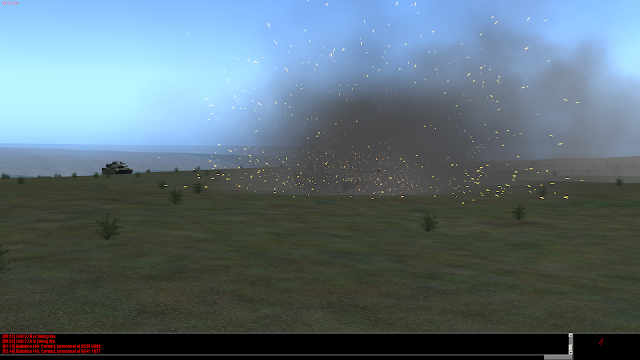 Combat outcomes can vary wildly depending on the choice of ammunition (and the difficulty settings, of course). 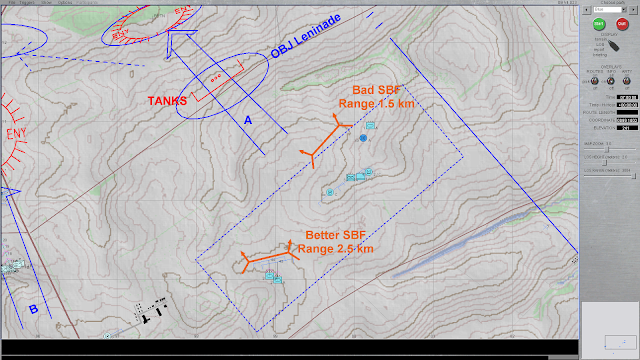 Against T-72s without reactive armor, even early 1990s APFSDS offers the M1 a standoff of about one kilometer (allowing a max engagement rance of about 3,000m where the T-72 can reach parity at best, with some of the latest 125mm APFSDS rounds, but typically must get as close as under 2,000m). Would be nice to know which ammo types you picked. What SB Pro currently doesn't model adequately are the effects of HE and fragmentation rounds. 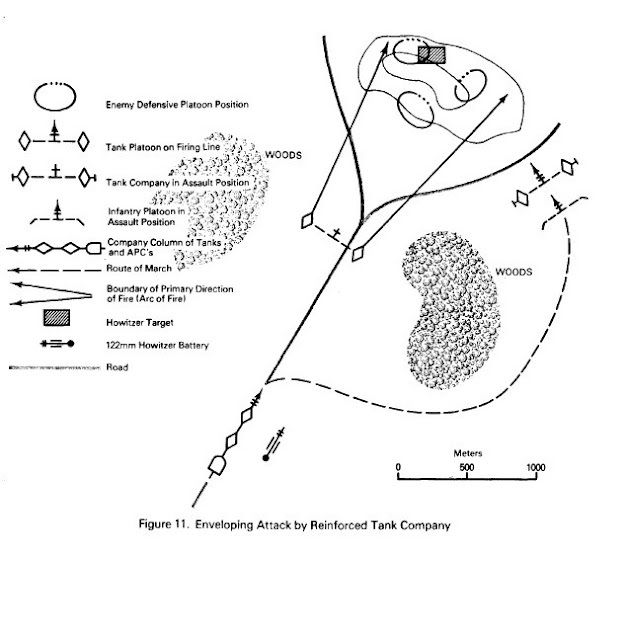 Otherwise it would be interesting to see if an unorthodox support by fire with HE-F rounds could effectively suppress the M1s without the use of artillery fire until the attackers close the distance. But with 4.023 I wouldn't give that tactic much of a chance.